Due to the tilt in our Earth’s axis of rotation, throughout the calendar year the Sun appears to rise and fall in different regions of the Sky, creating the Seasons of the year. This is not due to the Sun moving, but due to the Earth moving relative to the Sun. The four season’s come into fruition by the two Equinox’s and the two Solstices each Solar year. Below is a summary of the energy of the Equinoxes & Solstices per solar year and the potential they create within our lives here on Earth. Also, please refer to my article ‘The Cosmic Breath‘, on how the four seasons of our solar year represent the flow of the inhalation and exhalation of the great Breath of Creation. In each solar year we have two Solstice’s, one in June (usually around the 20/21st) and one in December (usually around the 21/22nd). As the Sun enters Cancer toward the end of June we have the Winter Solstice (Southern Hemisphere) and Summer Solstice (Northern Hemisphere). And then as the Sun enters Capricorn toward the end of December we have the Summer Solstice (Southern Hemisphere) and the Winter Solstice (Northern Hemisphere). The Longest day of the year (longest day of sunlight) is the June Summer Solstice (Northern Hemisphere) and the December Summer Solstice (Southern Hemisphere). 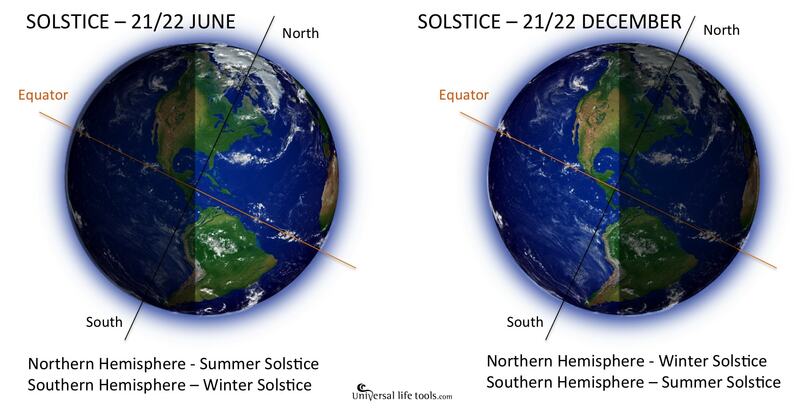 Conversely the Shortest day of the year (shortest hours of sunlight) is the June Winter Solstice (Southern Hemisphere) and the December Winter Solstice (Northern Hemisphere). As we make the journey from the Winter Solstice into the Summer Solstice we are being energised from the Sun in our Heart through to the Divine Heart of all creation. We reach the peak of growth at the Summer Solstice – and it is a time of celebration for all. As the days post Summer Solstice become shorter, it is a time of inner reflection/review as we move toward the next cycle. As we make the journey from the Summer Solstice into the Winter Solstice, it is a time of inner reflection, turning to the Sun within, our solar selves. It is a time to gain strength from within, and get ready to embark on the new journey as our days of daylight get longer beyond the Winter Solstice and we are being energised from within. Overall, where ever you are on Earth, the Summer/Winter Solstice represents an opportunity to celebrate your LIGHT. As we move into the threshold of a new cycle, it is a time to come together with all humanity through the LOVE of our LIGHT and send a wave of unifying peace through the Crystalline Wisdom Field of our Earth. During the Solstice, consider lighting a candle and honouring the LIGHT of joy, blissful abundance, compassion, peace and kindness illuminating your Heart and entraining the field of the Infinite All – OmAhOm. Please note: The references of above to the houses of the Zodiac for the Equinox & Solstice do not refer to Sidereal astrology which takes into account the actual position of the Sun in relationship to the Zodiac Houses. In each solar year we have two Equinox’s, one in March (usually around the 20/21st) and one in September (usually around the 22/23rd). As the Sun enters Aries toward the end of March we have the Autumn (Fall) Equinox in the Southern Hemisphere and Spring (Vernal) Equinox in the Northern Hemisphere. And then as the Sun enters Libra toward the end of September we have the Spring (Vernal) Equinox in the Southern Hemisphere and the Autumn (Fall) Equinox in the Northern Hemisphere. The Equinox is where day and night are of equal length – the energies coming together as one – Heaven & Earth, Spirit & Matter. At the Spring Equinox we prepare for our re-birth and awakening from the sleep of winter (the great exhalation of the Cosmic Breath) and at the Autumn Equinox we are bringing our energy inward, in preparation for the rest ahead (the great inhalation of the Cosmic Breath). It is these polarities that make up the whole. 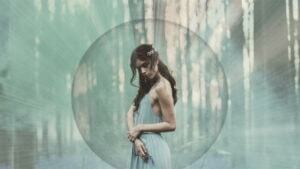 The Equinox is a powerful portal gateway of ascension into higher levels of consciousness. At this time of unity, the feminine & masculine merge as one, opening opportunities to unify duality within our selves, and expand our awareness to greater dimensional/light octave levels. Energetically at the time of the Equinox, the Sun crosses the Equator to enter the Northern Hemisphere (March Equinox) or alternatively the Southern Hemisphere (September Equinox). Hence at the Equinox, as the Sun sits over the Equator, both the Southern & Northern Hemispheres are receiving the sun’s rays equally. Night and day are approximately equal in length. The word equinox comes from the Latin aequus (equal) and nox (night). 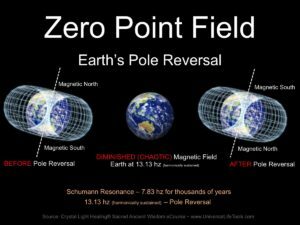 In addition, at the time of the Equinox, as the Sun is over the Equator, Earth’s Heart (Hertz) Frequency increases creating an inverse decrease in Earth’s magnetic field. Ultimately, as the veil between the physical/spiritual worlds diminish, through our HEARTS a portal opens into DIVINE BEingness and we are offered an opportunity to step into illuminated states of FREEDOM, JOY & BLISS. During our Equinox (& Solstice) alignments, as the Earth’s Heart Beat increases and the magnetic field decreases, we also come one step closer to a full Earth Pole Reversal – whereby humanity’s individual/collective Heart Toric fields (in combination with Galactic Toric Field) that will quantum leap ALL life forms into the next phase of evolution. The Equinox is where day and night are of equal length – the energies coming together as one – Heaven & Earth, Spirit & Matter. As the Spring Equinox we prepare for our re-birth and awakening from the sleep of winter (the great exhalation of the Cosmic Breath) and at the Autumn Equinox we are bringing our energy inward, in preparation for the rest ahead (the great inhalation of the Cosmic Breath). It is these polarities that make up the whole. Where ever you are on Earth, the Summer/Winter Solstice represents an opportunity to celebrate your LIGHT. As we move into the threshold of a new cycle, it is a time to come together with all humanity through the LOVE of our LIGHT and send a wave of unifying peace through the Crystalline Wisdom Field of our Earth.